The UC Santa Cruz Science Communication Program will explore ways to broaden the reach of science journalism and improve civic discourse on science-related issues through an innovative project funded by the John S. and James L. Knight Foundation. 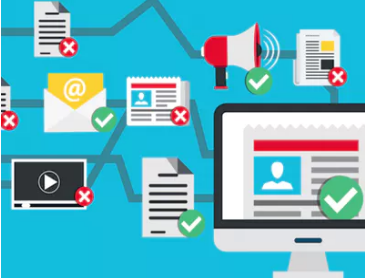 Concerns about the spread of misinformation and declining trust in the media often focus on how personalized news feeds and search results can create a "filter bubble" or "echo chamber" in which individuals see only information that supports their preconceived ideas about the world. Science communicators see these effects in the continued public controversies over issues such as climate change and childhood vaccines, which are not controversial among scientists. "There is a lot of concern about whether the rise of social media and fracturing of the media landscape are killing well-informed public discourse," said Erika Check Hayden, director of the Science Communication Program. "We will test whether we can use digital and social media more effectively to promote constructive public dialogue around science." Hayden will work with EscapeYourBubble, a digital platform designed to help people break out of their filter bubbles, to distribute science journalism produced by the graduate students in her program. The students will strive to create engaging science journalism that responds to the concerns of a broader slice of the American public than traditional science journalism has recognized. The project will also involve training students in concepts of decision science, which examines how people respond to information presented in different contexts. For example, decision science shows that people with fixed beliefs are unlikely to change them unless facts are delivered by a trusted messenger in a culturally relevant context. Studies also show that graphical information is more likely to affect beliefs than text alone. Hayden's team and EscapeYourBubble will evaluate the effectiveness of different approaches to presenting information about issues such as climate change. They will then use the results of these evaluations to develop guidelines for more effective science journalism. Click-through rates, for example, can reveal how well people respond to different headlines. Follow-up surveys of EscapeYourBubble users will provide more detailed feedback on readers' reactions to the articles. "Climate change is such a divisive issue that we have hesitated to get into it, but I feel now is a good time to apply some of what we've learned from other domains to this important issue," said EscapeYourBubble founder Krishna Kaliannan. Kaliannan, who started EscapeYourBubble in November after the presidential election, said it has steadily grown from an initial base of about 5,000 to nearly 20,000 current users. When people sign up, they receive curated content either through their Facebook news feed or by email. The project will be incorporated into the curriculum for graduate students in the Science Communication Program in the 2017-18 academic year. Hayden said she is looking forward to getting fresh ideas from the students in the program. "Our students have grown up with digital communications and social media, so it's going to be fun to unleash their creativity and see what ideas they have for communicating about science more effectively," Hayden said. The project received a $50,000 grant through the Knight Foundation's Prototype Fund, which focuses on technology and media innovation. The fund issued a call in March for ideas to "address concerns about the spread of misinformation and build trust in quality journalism." The UCSC Science Communication Program is among 20 organizations awarded funds through this open call.